It’s time to we did a review of sports betting mobile app odds and find out if it can make the life of a recreational, or even professional, sports bettor that much easier. Let’s see if this is one app worth having on your menu. You’ve heard the expression – “there’s an app for that.” It seems like no matter what you’re into there is always a company or companies ready, willing and able to assist. Many of the apps are free but have advertising built right in so they can pay the bills while you roll your eyes waiting for the commercial to end. Others will grant a free trial before they ask you to fork up your hard earned money. But whether they’re free or not, most apps are uninstalled almost as quickly as they were downloaded once you realize that you’re not getting what was promised or expected. We’ve all been there and done that. However, every once in a while there’s an app that is so good that you make it part of your home screen on your android or iPhone. It’s kind of like welcoming an in-law into the family. It may take a while to make it to the main menu but you know right away whether or not it’s got possibilities. I realize many of these apps are esoteric in nature and appeal only to a certain segment of the population who may be fans of fishing, crocheting, bar-hopping or even sports gambling. 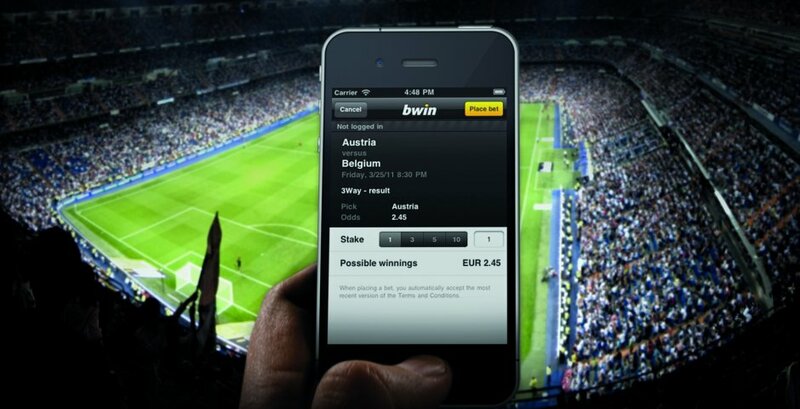 If you are like me and you like to make a wager on that big football, basketball, baseball, hockey or soccer game to name but a few then I suggest you check out this review of sportsbetting mobile app odds. Yes, it’s as portable as your cell phone or tablet and makes you feel like you’ve just plunked down a bet at a Las Vegas sportsbook. Let me tell you more. When you have a hunch – bet a bunch! I don’t bet on sports every day but I have the opportunity to do just that thanks to my sportsbetting.ag mobile app. Maybe I’m not even looking to place a bet but am instead just wondering what the odds on a particular game might be or what a parlay would pay or even what time the games goes? In order to make an informed decision you need to have a basis of comparison. I have downloaded and tried my fair share of sports betting mobile apps with varying degrees of success. Many of them were so “buggy” that I lost my patience after several attempts at just reaching the betting menu that I threw my hands up in despair and shook my head – again. Others were quick to download but the font was so small I needed a magnifying glass to read the text and I’m a guy who has never needed glasses, reading or otherwise. I searched far and wide for the right fit and ultimately came across a few that did a fine job of giving me what I wanted in a sports betting app. Bet365 and 5Dimes delivered a solid app and allowed me to scan the betting slate without a trace of a squint! Both also downloaded quickly and cut my waiting time down to virtually nothing. I thought I had found exactly what I was looking for and was content that my search was over with these tools at my disposal where I could compare lines at each book and bet the one that was most advantageous to me. However, I’m kind of a restless soul and am always wondering if there’s anything bigger and better, whether it be my flat screen TV, my cell phone or even the golf clubs I’m using. When you shoot a bad round of golf always remember it’s never you…it’s the clubs! So it wasn’t long before I began to dabble around for another sports betting mobile app without nearly as much desperation as before because as I said, I was content – sort of. And, voila! I stumbled upon what I believe is the Holy Grail of betting apps because with this particular sportsbetting.ag mobile app there are plenty of more features at my disposal. Just for signing up they had a promo code that netted me a 75 percent Free Play Bonus up to $1000 with a 12X rollover. There’s also an extra 25 percent bonus for life on every qualifying reload up to $1000. The great part is you don’t have to be a high roller to get in on this game as their minimum bet is just one dollar! There is also a live betting platform, full-service racebook, and casino, as well as poker. Sometimes I don’t want to limit myself to simply betting on sides and totals. That’s what’s great about this app is that there are options to wager on proposition wagers where you can, for example, bet over or under passing yards for a starting quarterback or how many points a basketball player will have in a particular game. They even offer a Bitcoin option for those that dabble in digital currency. The sportsbook linked to this app has been vetted by the industry watchdog Sportsbookreview so you can be certain that the only thing you’ll sweat is the game and not the payout. Look, I’m still a fan of the Bet365 and 5Dimes mobile app but this one is special. There are hundreds of sports betting mobile apps out there but why take a chance on those you don’t know or have never heard of before? Downloading this app is one bet you can’t lose.